HANDY’S ‘TINY CENTRE’: A FEDERATION OF ALL THE WORLD’S INDEPENDENT BUSINESSPEOPLE? The new growth sector for work is the do-it-yourself economy [looking after the young, the old and the sick, doing our own repairs and maintenance, growing our own food, plus self-employment and the underground economy]. As more and more people get pushed out of organizations [in the endless pursuit of more ‘productivity’] it makes good economic sense for them to do themselves what they used to pay others to do…when they now have more time than money. But this new growth sector is largely invisible [it is not measured as ‘productive’ because it is not ‘paid work’. It is the precise reversal of what had happened in the traditional economy]. Handy goes on to contrast the Anglo-American adversarial culture, reflected in the business ‘kill or be killed’ competition ethic and the justice system (“a conflict between opposites is the best recipe for fairness”) with the European/Asian ‘trinitarian’ culture (“looking for solutions which can reconcile or illuminate the opposites”), reflected most famously in the French motto “liberty, equality, fraternity”, where the third element serves to mitigate the inherent tension between the first two. The meat of the two volumes is the prescription for a ‘federation’ model of business to replace the old ‘hierarchical’ model. The federation model entails balancing business control between the centre (management) and the ends (front line), and requires adoption of two principles: twin citizenship where each worker becomes a ‘member’ of both their front-line business unit and the larger organization, and subsidiarity where the tiny centre is voluntarily ceded just enough authority by the front lines to look after needed coordination, resource allocation and crisis intervention decisions. Handy quotes a 1931 papal encyclical to illustrate just how important it is to keep the centre from becoming too powerful: “It is an injustice, a grave evil and a disturbance of right order for a large and higher organization to arrogate to itself functions which can be performed efficiently by smaller and lower bodies.” Citing Occam’s Razor, Handy asserts that the centre must be both “as small as it can be and as large as it has to be”. Most of this is consistent with the principles I’ve espoused earlier for what I call New Collaborative Enterprises (NCEs) — self-selected, self-managed groups of equal partners (members) who possess complementary non-redundant skills and expertise in a field of endeavor, making a living together following a set of agreed-upon principles that place members’ well-being (as each member defines it) ahead of profit. It is also consistent with the evolution of business from self-contained hierarchy, to ‘shamrock’ organization (involving more outsourcing, contractual workers and temporary/part-time workers), and ultimately to a World of Ends, where the managing/aggregating ‘centre’ disappears completely (and with it, large powerful corporations) as NCEs use current technology and social networking to contract with each other to meet customer needs more effectively, with greater agility and at lower cost than they ever could under greedy, dominating multi-national conglomerates. Handy, at least in his 1994 thinking, would suggest that a pure World of Ends in business is just too anarchic — that there has to be some ‘centre’ left to coordinate the ends, just as the human body cannot function without a brain. I would hope that a decade later he would be prepared to go the final step and acknowledge that, just as our Earth organism seems to be able to function (sorry, theists, I’m about to offend you again) without a central guiding hand, so too should human enterprise (as it did for the first three million years of our existence on Earth). Modern technology is ultimately all about connection, and I believe we are now so well connected, business-to-business and business-to-customer, that we are within reach of a true World of Ends where central management is obsolete. The grey dot in the World of Ends chart above, in other words, is just ‘the network’. What may be needed is a ‘virtual federation’ of independent businesspeople and NCEs. I don’t believe such a Federation needs to have any authority, or any employees, or make any decisions, but, just like the Internet, it needs a central registry, and some databases and social networking tools to link together businesspeople, NCEs and customers. It would serve some of the functions of an employment agency, but do so completely transparently, allowing members to contract with each other and with customers through its auspices and technologies. It would serve some of the functions of a business incubator, allowing independent businesspeople to create new NCEs and to identify other people with whom they would like to make a living, either for the term of a customer contract, or for a lifetime. And it could serve some of the social and financial (but not political) functions of a Buying Group or Trade Association, gathering information and collecting and remitting funds on behalf of member NCEs to receive volume discounts from suppliers and hence giving Federation members the same economies-of-scale benefits that large organizations and oligopolies receive, with none of the associated costs (financial and other) of such large organizations. I’ve been involved in the organization of Buying Groups, and they are interesting creatures: very lean and collaborative, and only limited by the deep distrust that businesses in our Anglo-American culture have for their competitors. I’d propose that the Federation obtain all its tools, databases, collaboration spaces and technologies organically and without cost to members, by voluntary contributions from members, built collaboratively by the members for the members in the members’ spare time. Don’t impose infrastructure, in other words, let the members compare and tinker and choose what works for them. And I’d propose that any individual could be a member of the Federation, and create or join NCEs, provided they are not restricted by their current employer from contracting independently to supply goods or services. Corporations could not be members — they bring too much restrictive baggage to the collaboration table to be of value to the members. So how might this work in practice? Before I provide an example, here’s a caveat: It would of course be naive of me to suggest that old-fashioned employer-employee relationships and hierarchies will magically melt away in favour of the type of flexible, egalitarian, socially responsible NCE that I outline above and in my earlier articles. It would be equally foolhardy to try to mandate certain standards of social organization as a condition of membership in the Federation — the consequence of that would be to provoke others to set up a less restrictive, and inevitably more successful, Federation of their own. So let me coin a broader term than NCE, called Non-Restrictive Business (NRB) to refer to any organization in any form that does not contractually limit its members to working only with other members of that same organization. Assemble the project team themselves — The Bank could browse the skills and expertise of individual Federation members regardless of what NRBs they belong to. The Bank could of course also send RFPs to established corporations that supply such services. But once the Federation grows to have millions of members in thousands of NRB’s, each with letters of recommendation from previous happy customers, with one-stop shopping, no ‘limited’ corporation will be able to compete on price or competency with the vast market of expertise that the Federation offers. And if you’re a member of the Federation or the buyer for an NRB yourself, you will almost inevitably buy from other members. Eventually, the ‘limited’ corporations will free their members to join the Federation, or convert into NRBs themselves so that all their members can join. The logical first members of the Federation will be independent consultants, technologists, and other ‘information professionals’. But I can see other freelancers — health care providers, financial advisors, just about anyone in a service industry (which is most of us these days) jumping on board. And once you start getting researchers, distributors, job-shop manufacturers, and marketers, you start to have the makings of the business World of Ends in the diagram above, flexibly contracting with each other, and eliminating the big corporate middlemen who currently skim most of the profits and make all the decisions. I’m currently putting together a Business Plan for the Federation and both a Business Plan and a Charter for three sample NCEs. Since the concepts are so radically new, these documents will need collaborative input from interested readers and leading business innovators before we can actually start building these bold new organizational forms. I’ll post the drafts here, of course, but I’m also looking for some business and technology A-listers to spread the word and expose these ideas to a larger and more critical audience. Stay tuned. 5 Responses to HANDY’S ‘TINY CENTRE’: A FEDERATION OF ALL THE WORLD’S INDEPENDENT BUSINESSPEOPLE? If I understand it correctly, your federation concept is well known and well documented in journals such as First Monday: You are describing the ‘bazaar’ model which is the foundation of open source and free software.With some fine differences: When we look at the most successful free-software projects such as GNU, and the 4-fold web path of Linux, Apache, MySQL and PHP (aka LAMP), what we find is not pure anarchy but a clear a priori hierarchy with a charismatic leader at the fore. All these projects have one and only one ultimate authority who decides which of the many contributions to pursue; others are free to go their own way and often they return with a revised plan that gets accepted, but it is up to the one central switchdoctor to keep the project from a decay into chaos.In free-software circles we call this the “single commit” model, meaning there is only one person who can commit the new component into the master archive. Many studies have identified this gatekeeper role as a critical factor in deciding the success and failure for any non-trivial free software. You’ve probably seen the recent article in Wired which suggests that the principles underpinning Open Source are spreading to “areas” other than software.Are you aware of the work Britt Blaser has done regarding an infrastructure to support your business idea/model – titled Xpert Web ? See http://www.xpertweb.comCount me in – let me know if you want anything read, reviewed, added to…..
I’ve been doing some research and tinkering along similar lines, but at a more granular level. My intent is to break things down to ‘what do I want?’ and ‘what can I do?’. The larger-scale structures (i.e. NCE’s) can evolve later.This means trust networks at the individual level: the right person at the right time seems more important than whatever association the person is involved with.In other words, trackback is where to begin accountability, and every job can be a value chain. 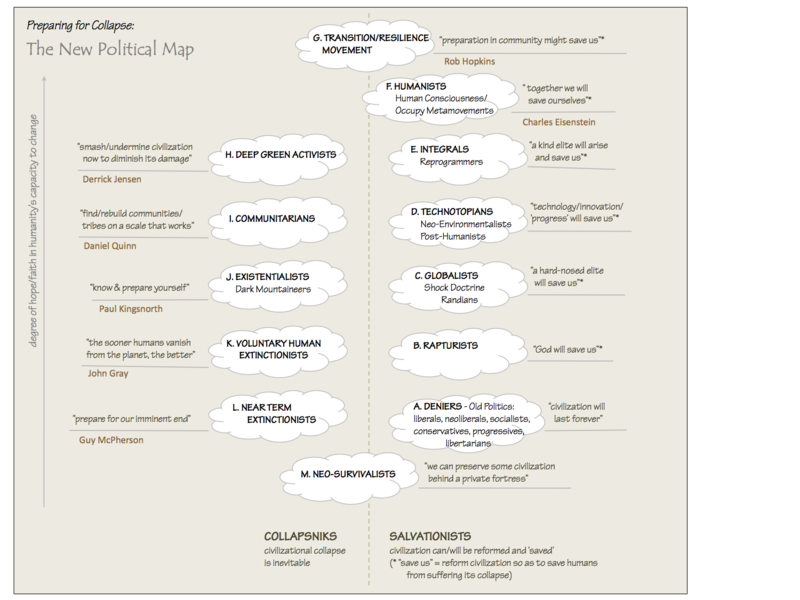 Given basic tools like blogs, XML, RDF, we can create a ‘semantic soup’, if you will, in which structures of ever increasing complexity can evolve.So where you have diagrams with such elements as ‘Marketing Agency’ I see things that are often extremely transitory, more like distributed flashmobs than a corporation. Rayne: I think the coop has some interesting ideas, but it’s (as they themselves admit) disorganized, and a bit over-engineered. The Federation needs to provide some dead-simple, highly-scalable functionality: contact info, skills & expertise data, references & recommendations, a straightforward team/NCE/NRB formation tool, and some powerful search functionality. That’s all that most members (and customers) will want or need, and it needs to be intuitive to every user. Of course there will also be space for people to collaborate on, develop, contribute and use more sophisticated tools, but we’ll let the member ‘market’ vote with their feet on which of these are useful and when. The Business Plan will explain this, hoepfully more clearly.